Prior to submitting a question, please review all FAQ sections including Equity Crowdfunding Regulations,General, For Entrepreneurs, For Investors and For Portals. The type of business that can create an equity crowdfunding campaign in Canada depends on which securities law exemption from the registration and prospectus requirements of Canadian securities laws you plan to rely on to conduct the campaign. See the chart below for a summary of what type of businesses under what securities law exemption can create an equity crowdfunding campaign in Canada. 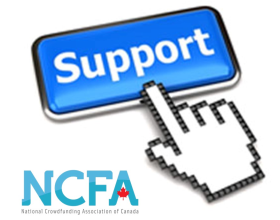 Start-up Crowdfunding Exemption Not available if a reporting issuer or an investment fund. Integrated Crowdfunding Exemption Available to reporting and non-reporting issuers involved in all business sectors except investment funds. Start-up Business Exemption Not available if a reporting issuer or an investment fund. 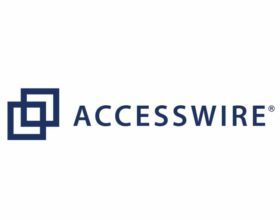 Existing Security Holder Exemption Available to TSX Venture Exchange listed reporting issuers only. Investment Dealer Exemption Available to Toronto Stock Exchange, the TSX Venture Exchange, the Canadian Securities Exchange or Aequitas Neo Exchange Inc. listed reporting issuers only. Limitation on the type of business that can use the offering memorandum exemption does not come into effect in NS, SK, NB, and QU until April 30, 2016. Funding portals may specialize in raising capital for certain types of businesses or businesses in a certain stage of development and as a result, restrict who may post a campaign on their portal. Yes, as long as your company meets the eligibility requirements of the securities law exemption relied upon to conduct the campaign. See: "Can any type of business create an equity crowdfunding campaign?" in this Entrepreneur Questions FAQ. Different funding platforms may have their own eligibility requirements and may not be open to start-up companies. It depends on which securities law exemption from the registration and prospectus requirements of Canadian securities laws you plan to rely on to conduct the campaign. Investment dealer exemption (must be a reporting issuer). Under the offering memorandum light exemption, you can raise up to $500,000 in a 12-month period under this exemption. Under the Start-up Equity Crowdfunding Exemption, you can raise up to $250,000 in two separate offerings in a 12-month period raising an aggregate total of $500,000 under this exemption. Under the Integrated Equity Crowdfunding exemption, you can raise up to $1,500,000 in a 12-month period under this exemption. Yes. You may for instance use the Start-up Equity Crowdfunding exemption to conduct a crowdfunding campaign to raise $250,000 and later in the year sell an additional $500,000 in securities relying on the accredited investor exemption. You should however, seek the advice of a securities lawyer as to your own particular circumstances. Funding Requirements. What is your funding target and strategy? The sweet spot of an equity crowdfunding in Canada is expected to be between $100,000 - $1,500,000 depending on which securities law exemption is relied on to conduct the campaign. Your needs may be better served by more traditional sources of funding if you require more than $1,500,000. Ability to raise funds via other methods. Have you considered alternative sources of capital for both short and long-term requirements? Does your investment appeal to prospective online investors? Are you able to presell your product through reward-based crowdfunding models to raise the necessary capital? Ownership Structure. Are you open to having a larger than average number of external investors in your private company? Are you willing to accept/use standardized shareholders agreement? Are you comfortable giving equity away and thus a degree of control in your business (Note, the average amount of equity offered to raise funding via an equity crowdfunding campaign is usually around 20-25%). Cost of Capital. 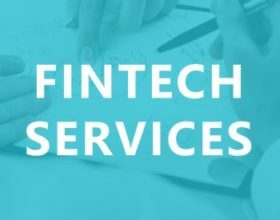 There are fees (cost of capital) often associated with an equity crowdfunding campaign, such as regulatory compliance (i.e., background checks), listing fees, portal transactional fees, payment facilitation/escrow fees, legal/accounting contract and service fees, administrative overhead and other third party provider services. Financial and business consulting needs. Do you require the assistance of professional sponsors/mentors to help structure your business offering? Venture capital groups with partnership agreements with leading portals. Loan or equity raise from mom, dad and your big brother Jim. Local angel group pitch events. Your directors, officers, employees, and major shareholders. Close family members of your directors, senior officers, or major shareholders. Close family members are only your spouse, parents, grandparents, siblings, children, grandchildren, or in-laws. Your aunts, uncles, cousins and Godparents are not close family members. Close friends of your directors, senior officers, or major shareholders. Your close friend is someone who has known you for enough time to be able to judge your capabilities and trustworthiness. The relationship must be direct (that is, a close friend of your close friend is not your close friend). Someone that goes to the same church, is part of the PTA group you belong to, is a fellow Shriner or is a Facebook or LinkedIn “friend” is not a close friend for the purpose of this exemption. Close business associates of your directors, senior officers, or major shareholders. Your close business associate is someone who has had enough prior business dealings with you to be able to make a sound judgment about your capabilities and trustworthiness. Being a customer or former client is not enough to make someone a close business associate. o Net assets of at least $5 million. Another name for an accredited investor is an angel investor. When relying on the private issuer exemption you are not required to file a report with your local securities regulator. You should keep a record however, of how you determined each investor fit into one of the categories above. One day you may have to prove to a securities regulator that you properly relied on the exemption when selling your securities. Your security holders can transfer their securities to one of the types of people listed above, provided the directors’ consent to the transfer of shares. No other transfers of securities are permitted. You are no longer a private issuer if you have more than 50 shareholders or you sell securities under the offering memorandum exemption or under the minimum investment exemption ($150,000). You can raise money from all of the people a private issuer can sell to as a non-private issuer as an exemption exists for each one independent of the private issuer exemption. You may also use other securities law exemptions such as the offering memorandum and minimum investment exemption. The main difference between being a private issuer and a non-private issuer is that non-private issuers must report all sales of securities to all applicable the securities regulators in Canada within 10 days of closing the first sale and each subsequent sale. Are paid to sell your securities. If any of the above is true, your company and employees will need to be registered or you will be in breach of the registration requirements. No commission or finder's fees may be paid to a director, senior officer, founder, or control person of business in connection with a trade under the private issuer exemption, (except a trade to an accredited investor) or under the family, friends, and business associates exemption. * If you are a tech, biotech or manufacturing company you should also call your local representative at the Government of Canada Concierge Service – it is free. This is a new program implemented in December of 2013 to help entrepreneurs identify government grants, rebates, and loan programs along with other services to advance their business. To take advantage of the Concierge service visit: www.concierge.portal.gc.ca/ or call: 1-855-534-8433. No. If you have a quality business, there is no reason you will not be able to raise capital with angel investors or venture capitalists after conducting a crowdfunding campaign. On January 15, 2014, Crowdfund Capital Advisers released a research report titled, “How Does Crowdfunding Impact Job Creation, Company Revenue and Professional Investor Interest?.” What they discovered is 71% of small businesses that were successful with crowdfunding either received or were in conversations to accept follow-on investment. 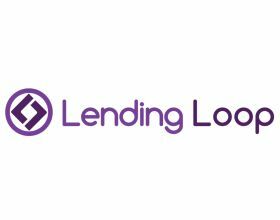 By listing on a funding portal, you gain access to new groups of accredited and non-accredited investors who may be interested in helping you obtain the funding you need that is not available elsewhere. Besides funding, crowdfunding can provide you with a quick and efficient way to test the market for your product or business through feedback from prospective customers and backers. It can also create product, brand and service evangelists out of early investors. Crowdfunding campaigns can also increase your business’s visibility to potential joint venture partners, purchasers, venture capital firms, and acquirers. Many businesses who started a crowdfunding campaign to raise money have found these other benefits have launched their business further than would have been possible through a traditional financing round. You should protect your intellectual property to the extent possible under Canadian and American trademark and patent laws prior to any form of crowdfunding. Information related to your business will become public in a crowdfunding campaign. This is true anytime you are seeking to raise capital as investors will want as much information as possible to evaluate your business and the risks involved. You should not expect that you will be able to get prospective equity crowdfunding investors to sign non-disclosure agreements. Angels and venture capital firms never sign non-disclosure agreements as they see hundreds of business plans each year with similar ideas. Your team and your ability to execute is the key to your business’s success. You need not disclose every minute detail about your product or service, just the basics that investors need to make an informed decision.